CIIC was brought on to manage the grand opening PR campaign for Hotel El Ganzo in Los Cabos, Mexico, a destination known for its desert/beach topography, perfect weather and its high concentration of luxe hotels. El Ganzo, however, represented a new type of property for the destination, a boutique hotel with artistic and culturally-infused amenities and offerings…and CIIC was tasked with making this unique hotel stand out in a big way among Cabo’s beloved resorts, with little to no budget availability to spend on programs and initiatives. 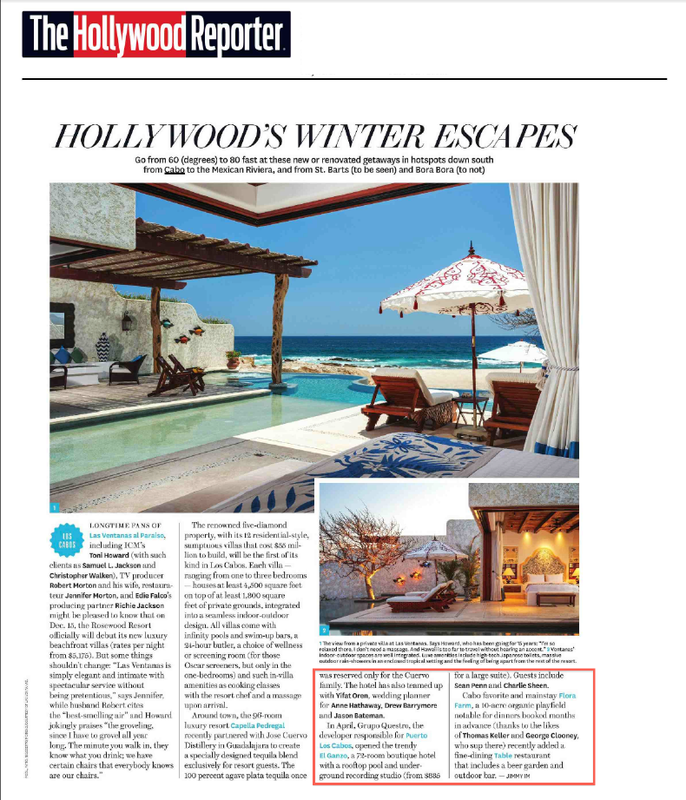 With stiff competition from Cabo’s well-established (and much decorated) hotels and resorts, working every angle to gain exposure and build buzz for Hotel El Ganzo was a must. To start, in the messaging we created, we underscored the amenities that make El Ganzo so unique, including its size and distinctive cultural offerings, from visiting musicians to artists in residence leaving their mark throughout the hotel. Using this messaging, we sought out the attention of journalists who were both interested in the destination, and intrigued by a property that was more artistic retreat than traditional resort. We also utilized the hotel’s involvement with the Los Cabos Tourism Board, offering the property up as host hotel for a group of incoming press, very soon after the official opening. From there, we invited and hosted a continuing flow of individual press visits, building customized itineraries for each writer to meet their editorial needs, while highlighting all of the memorable amenities and experiences at El Ganzo. Furthermore, we piggybacked on the existing travel schedules of El Ganzo executives, arranging deskside appointments with media in the cities they were visiting for sales calls, to maximize their time and help forge alliances with press that could spread the word about this distinctive new hotel. 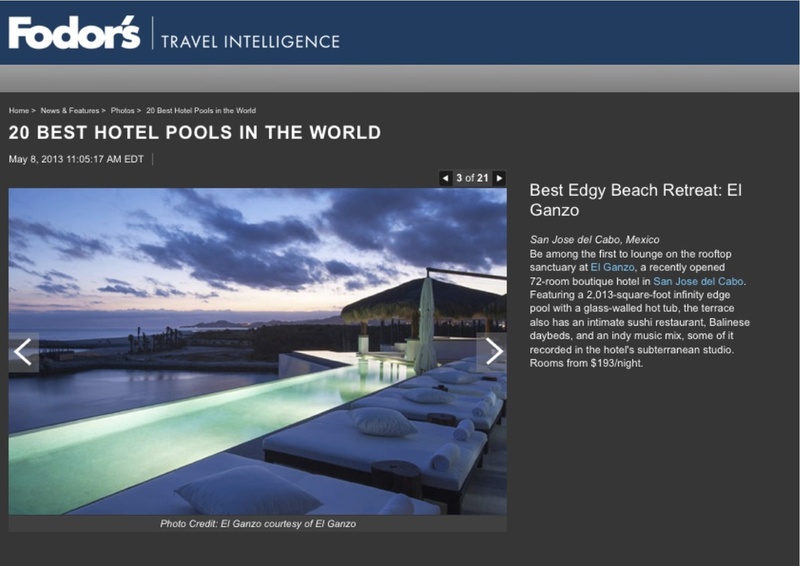 CIIC’s campaign to launch Hotel El Ganzo to the U.S. market has earned the attention of several notable publications including Travel + Leisure, Condé Nast Traveler, The Hollywood Reporter, Forbes Life, New York Magazine and more. 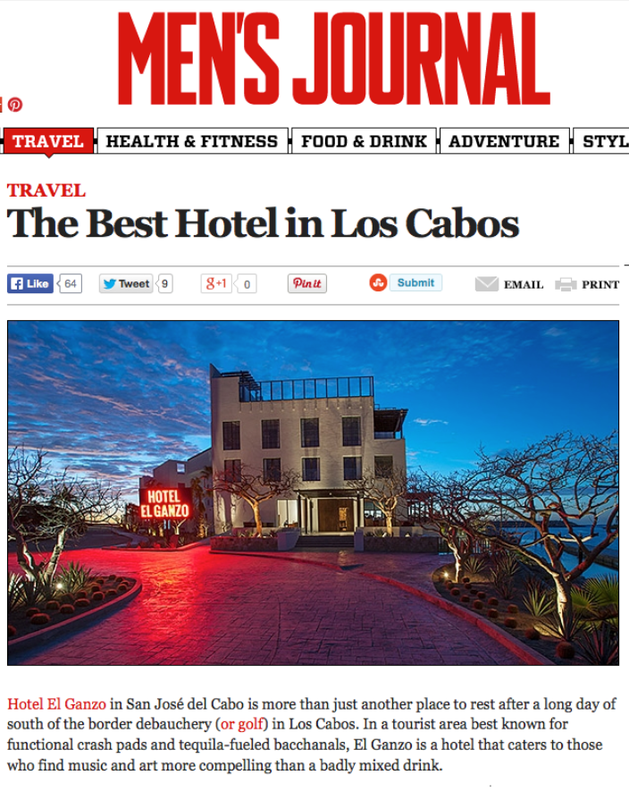 El Ganzo’s rooftop pool was named to Fodor’s list of “20 Best Hotel Pools in the World” and Men’s Journal named El Ganzo “The Best Hotel in Los Cabos” after we arranged for their writer to visit in 2013. 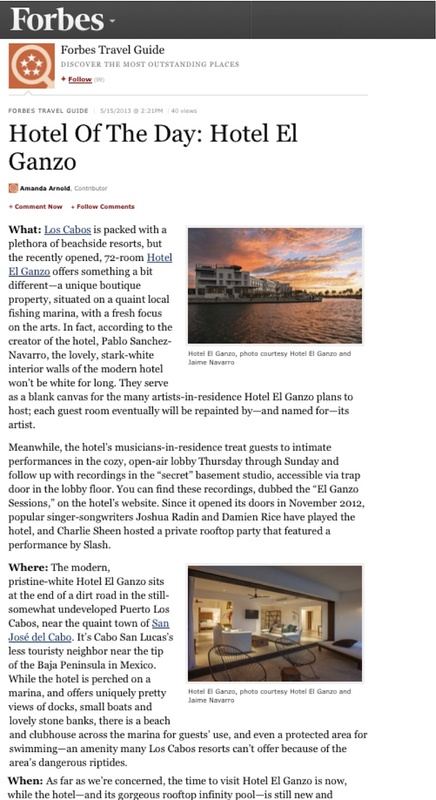 In all, in the 13 months since celebrating the official grand opening of Hotel El Ganzo, CIIC’s strategic PR program has yielded 131 Total Secured Coverage Clips, 132 million + Total Media Impressions and a Total Ad Value of $1.5 million.